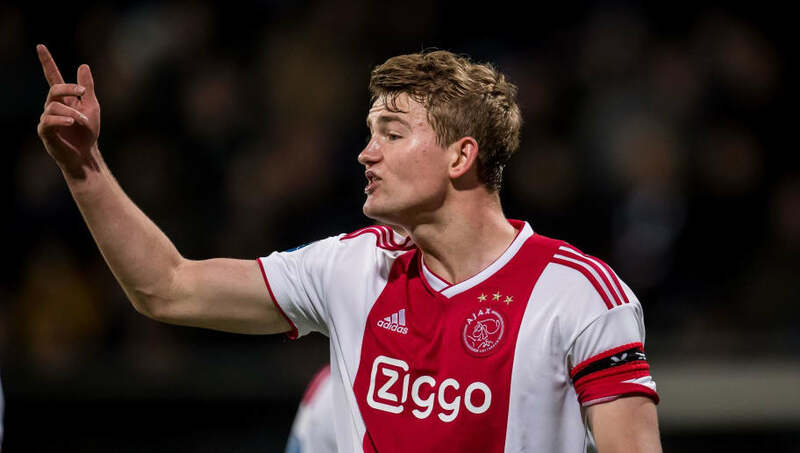 A host of Premier League sides are said to be unwilling to make a move for Ajax defender Matthjis de Ligt, due to his association with ​'super-agent' Mino Raiola. The rumours coming out of Holland are suggesting that clubs in England are reluctant to do any business with the Dutchman's current agent, Mino Raiola. A number of interested parties, including​ Manchester City, ​Manchester United and ​Arsenal, have all had previous run-ins with the Italian-born agent, which could jeopardise De Ligt's chances of a big money move to the Premier League. Pep Guardiola publicly fell out with Raiola last year when the City boss was branded as a 'coward and a dog', whilst United grew wary of Raiola after the club discovered he had been touting Paul Pogba to Europe’s top clubs over the summer.